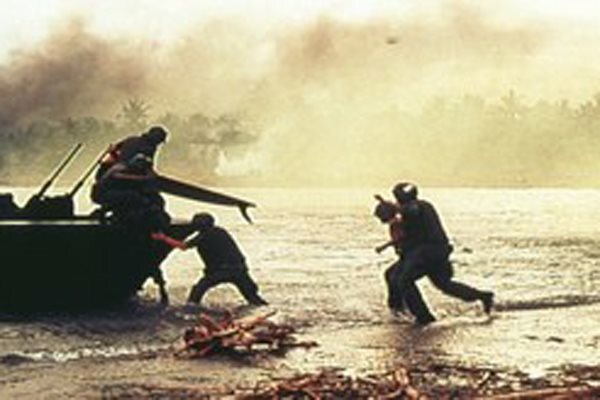 Coppola's epic vision of the Vietnam War was inspired by Joseph Conrad's novella "Heart of Darkness," and continues to be the subject of debate. 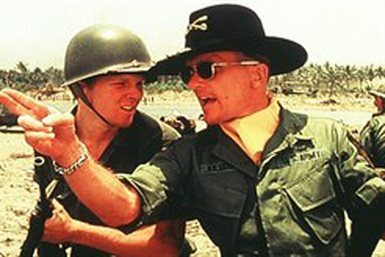 Disillusioned Army captain Sheen travels upriver into Cambodia to assassinate overweight renegade colonel Brando. His trip is punctuated by surrealistic battles and a terrifying descent into a land where human rationality seems to have slipped away. Considered by some to be the definitive picture of war in its overall depiction of chaos and primal bloodletting; by others, over-wrought and unrealistic. 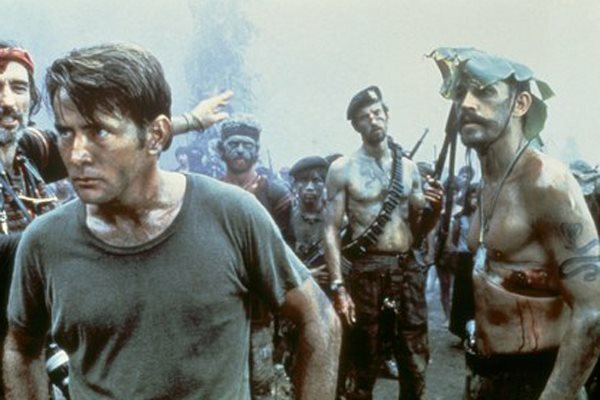 May not translate as well to the small screen, yet worth seeing if for nothing more than Duvall's ten minutes of scenery chewing as a battle-obsessed major ("I love the smell of napalm in the morning! "), a study in manic machismo. 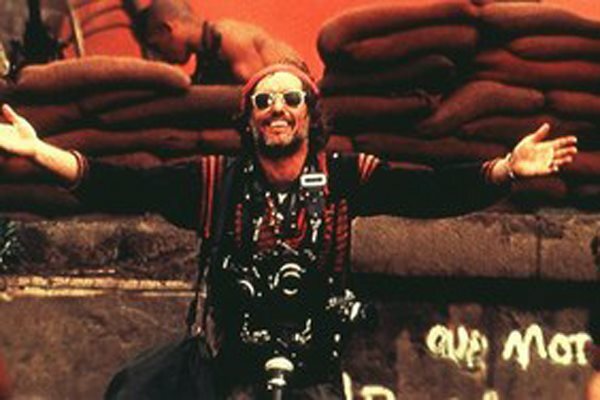 Stunning photography by Vittorio Storaro, awe-inspiring battle scenes, and effective soundtrack montage. Both Sheen and Coppola suffered emotional breakdowns during the prolonged filming, and that's a very young Fishburne in his major film debut. 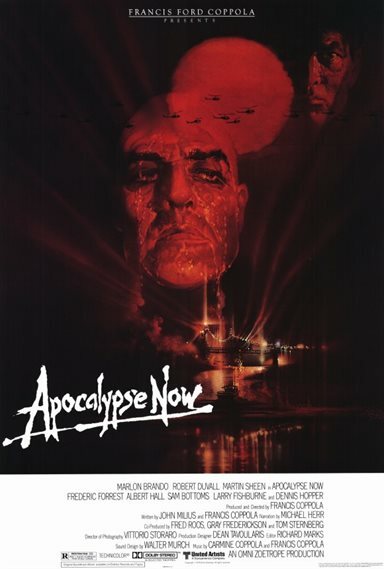 Download Apocalypse Now in Digital HD from the iTunes store. 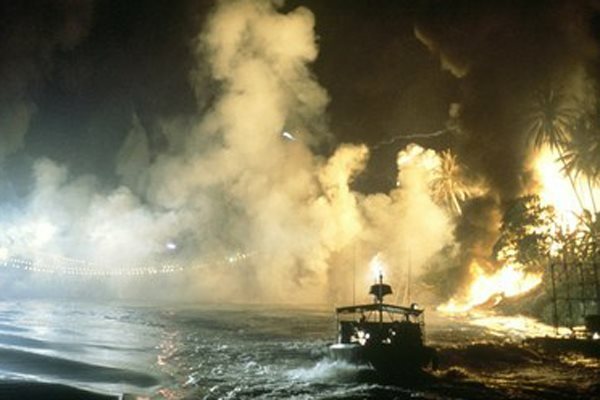 Apocalypse Now images are © United Artists. All Rights Reserved. 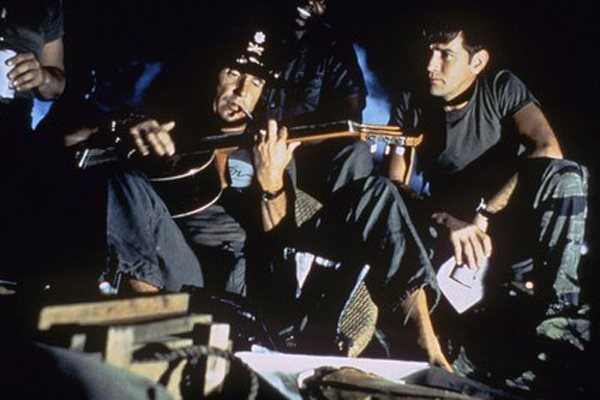 Apocalypse Now images © United Artists. All Rights Reserved.